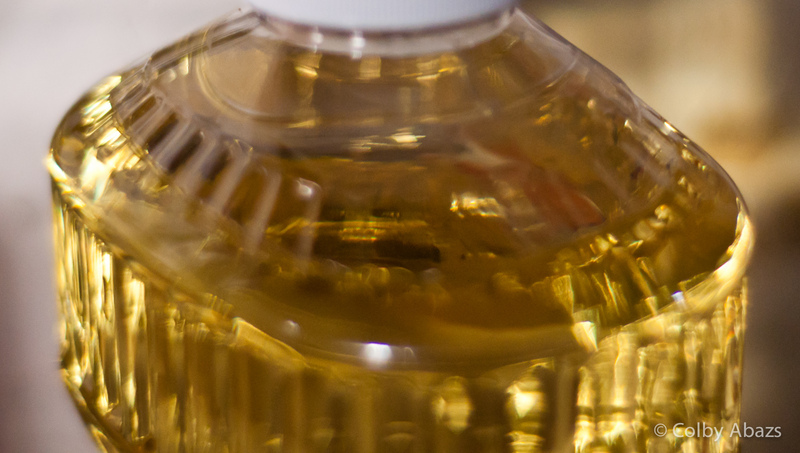 I made this okay photograph of a jug of vegetable oil. Unfortunately I didn't like the background. I found a remide by cropping it in close so it changed into an abstract photograph of glistening gold. That was what had first attracted me to make the photograph so I am very happy with how it turned out.